Carter Nunez is expecting a different challenge this week while playing in his first national championship. The 16-year-old, who qualified for the U.S. Amateur through sectional qualifying at Upper Montclair Country Club, said he will soak in each moment this week when he heads to Riviera Country Club and Bel-Aire Country Club in southern California. “I’m just going to try and have a great time,” Nunez said. Nunez will travel with his family and a close friend. He hopes to have his dad on the bag for a few rounds this week. 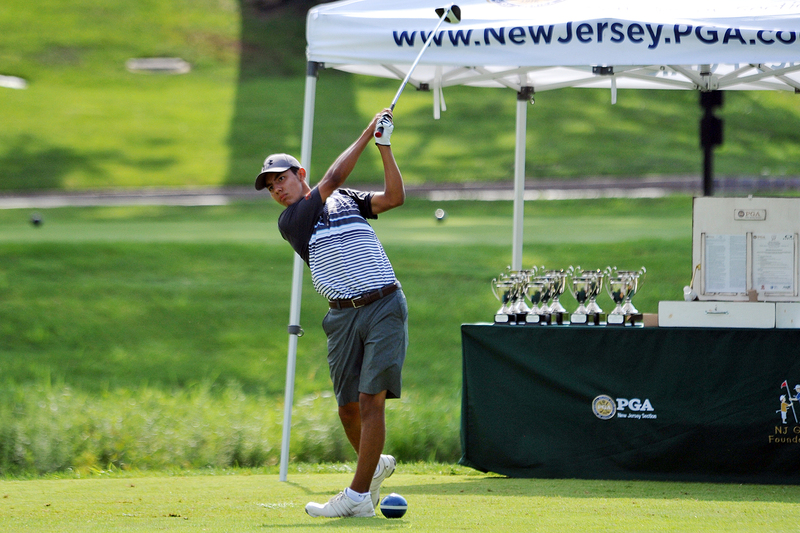 At the sectional qualifying at Upper Montclair, Nunez shot a one-under 71 in the morning and a four-over 76 in the afternoon, which included a bogey on the 36th hole. Nunez credits his play this summer to his putting, which has put him in contention at most tournaments he has competed in. Nunez will be one of seven New Jersey golfers in the field the week of the U.S. Amateur. He begins his first round Monday, August 14 on the first hole at Riviera at 7:52 a.m. (10:52 a.m. EST).